Fall is my favourite time of the year, and so are pears 🙂 There is just something about a baked pear, it is juicy and citrusy entirely different from an apple. 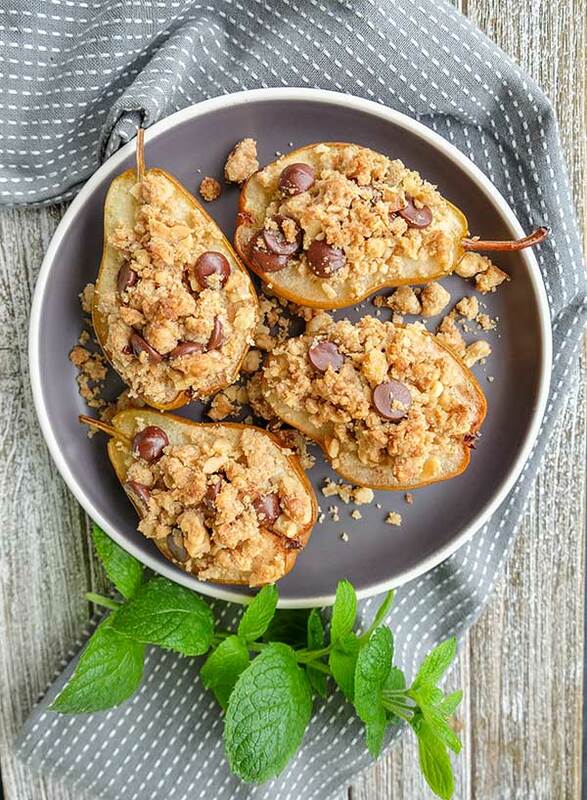 I have baked these pears with buttery walnut and chocolate topping adding crunch to this easy, healthy gluten-free dessert. 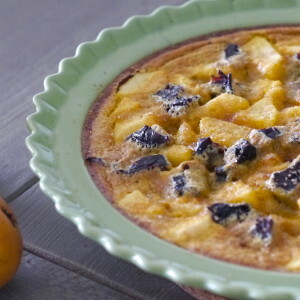 This vegan dessert is best when it is warm…or not, both are equally delicious. 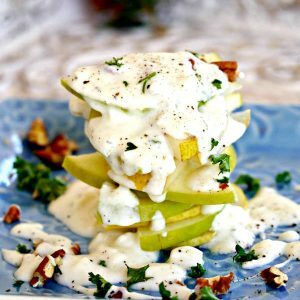 I like to serve these tasty baked pears with coconut cream or ice cream as a dessert, but, if I have any baked pears left over, I serve them for breakfast with coconut yogurt or a late afternoon snack. YUM!